Received: Netgalley -- thank you! This book right here is quite possibly the best young adult contemporary I've read this year, and that is saying A LOT. For one thing, I've read TONS of incredible YA contemps this year. You've seen me mention quite a few here on my blog. However, this one resonates in a special category all it's own. I opened this book and closed it in less than 24 hours. The writing style itself captured my attention on the first page. THE FIRST PAGE. How many books have you read that you can say that about? Aussie writers are definitely on my radar now. There's just something about their technique that draws me in to their stories. I remember similar feelings after I finished Melina Marchetta's The Piper's Son. This story takes place in one night. That right there is a huge thumbs up for me. I am a huge fan of books that span a 24 hour period (in this case just one night!). Lucy has finished her twelfth year of school and is planning to celebrate with her girl friends Jazz and Daisy by spending the entire night out on the town. Jazz's spunky personality brought so much life to the page. I really enjoyed her moments. Lucy's personality is more in the background. She's got a lot going on in her head, but you have to really pay attention to see the sparks flying from her. Jazz suggests they find boys to make the evening fun and celebrate the end of school. Lucy, however, only has one boy on her mind: Shadow. He's the ominous graffiti artists who's murals she sees all over town. Though Lucy has never met him, she's already fallen in love with his artistic abilities. Just as Lucy is about to protest this idea of Jazz's in walks Ed, Leo, and Dylan. Immediately Jazz calls dibs on Leo and since Dylan is Daisy's boyfriend... well that leaves Ed for Lucy. The last boy she wants to spend her night with. The group hatches a plan to help Lucy find Shadow and his partner in crime Poet. In turn every one seems to be getting what they want. Except for Ed. As the night unfolds, so do the secrets. The alternating chapters told between Lucy and Ed allow the reader to find out the truth before the characters do. This was VERY interesting for me to process. Every scene is painted in the most beautiful sequence. Cath Crowley's ability to write with such poetic ease kept me engaged. I loved how she was able to use words to describe each scene, yet she was capable of keeping the moment REAL. I never felt lost in a jumble of words, wondering what does that even mean? It all made perfect sense. Perfect, lustrous, UNBELIEVABLE sense. This book made me FEEL. It made me laugh out loud. It made me want to cry. I may or may not have contemplated hugging my nook at one moment. It's rare you read something and wish you could turn back time to read it all over again like it was the first time. When a book has that impact on me, I know it's going to be greatness. The tension between Lucy and Ed's characters is phenomenal. Not sure if you should hate the other, or love them. Constantly a tug of war with my heart. I can not wait until I get my hands on a finished copy because there will be TONS of highlighting and pages being marked. I recommend this book to anyone who can appreciate a story about finding yourself, and never knowing if you're quite good enough. There is so much personal growth among ALL the characters. I just want to hug each and every one of them. I bow down to Aussie writers, they're the real deal. If you have access to Netgalley, I encourage you to request this book NOW! Thank you so much to the publishers for giving me the opportunity to read such an amazing, incredible book. Of the four books I took with me to Haiti, I only read one, and it was ON THE WAY to Haiti. And it was THIS ONE. I loved it too! I agree! I loved the writing style...and the characters! I got approved to read this on Netgalley and haven't gotten to it yet. Sigh. Between your review and Carla's the PRESSURE IS ON. And omg, I love strong characterization AND Australia. i can't wait to read this. the range of emotion sounds incredible and the tension is always something i'm a fan of. if it's so good it makes you want to highlight, this is certainly one worth adding to the old bookshelf! I did go request it! I've read so many raves about this one. Hope I get to read it soon. Thanks! I've been waiting for this book ever since I heard it would be published in the U.S. Cath Crowley is an amazing author! I'm the cheese standing alone. I know that Carla loved this book too. Me, not so much. In fact, I couldn't even FINISH it. What's up with that, right?! I'm getting really excited to read this. However, I am saving it for a province trip next week so I have something compelling to read. 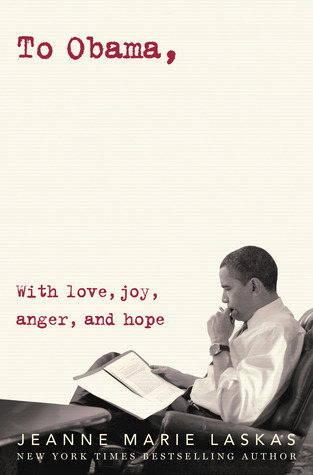 I thought it was a rather remarkable book, it had a lot of heart and was hopeful over all. The pace was a bit off for me, but I liked it a lot over all. So glad that you loved Graffiti Moon as much as I did. 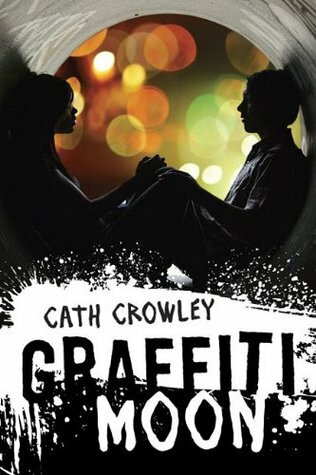 I totally agree that the writing was gorgeous and that it is totally amazing that Cath Crowley was able to make everything going on feel so natural and real when it all took place in one evening. I really enjoyed reading your review. I totally agree with you!! I'm going to stop there or else I'll be writing a novel length comment about why I loved it so much. Just LOVED it! I also can't wait to get a finished copy.